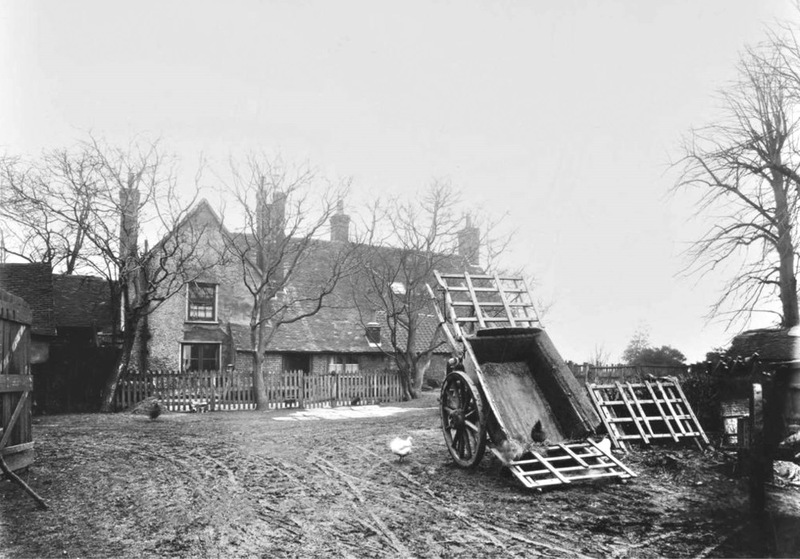 Dagnam Park Farm, rear. Thanks to Adam Bootle for bringing this image to my attention via Facebook. 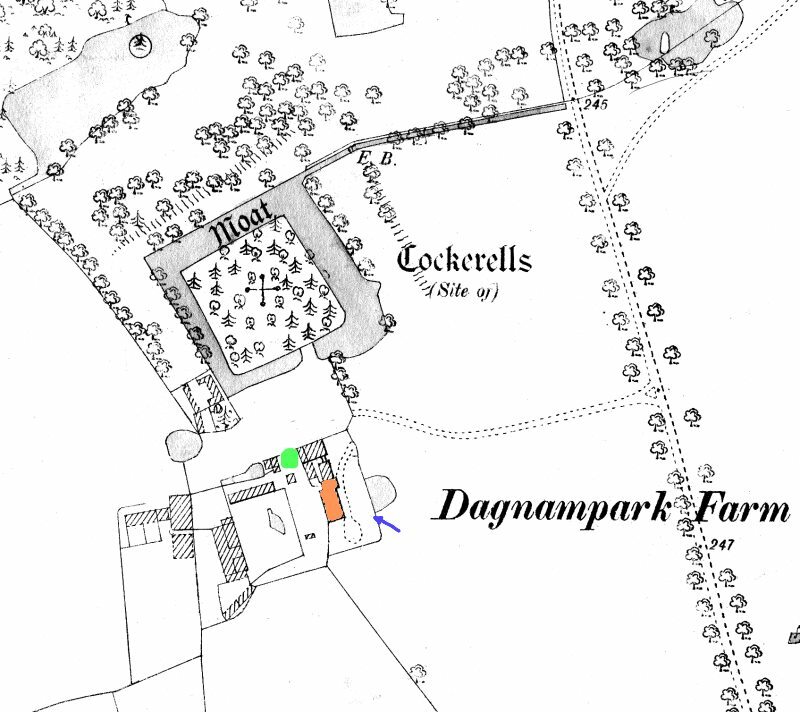 Dagnam Park Farmhouse stood just south of the moat, Dycorts infants and Junior Schools were both built on the site. 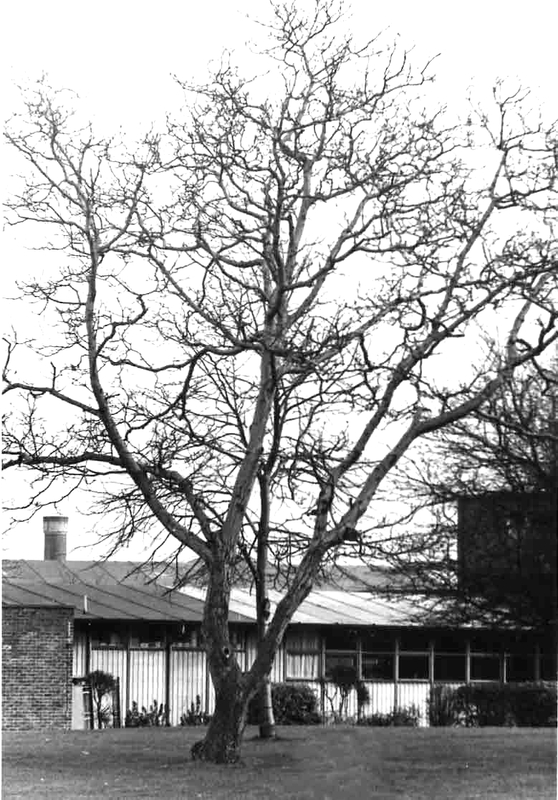 The photo below taken in 1973 shows a walnut tree outside Dycorts Junior school (now known as Pyrgo Priory. (2018)) If you were to stand outside the school hall and look out towards the moat your line of view would have been obstructed by this Walnut tree. That tree stood in the farm garden and is marked with a green dot on the map. 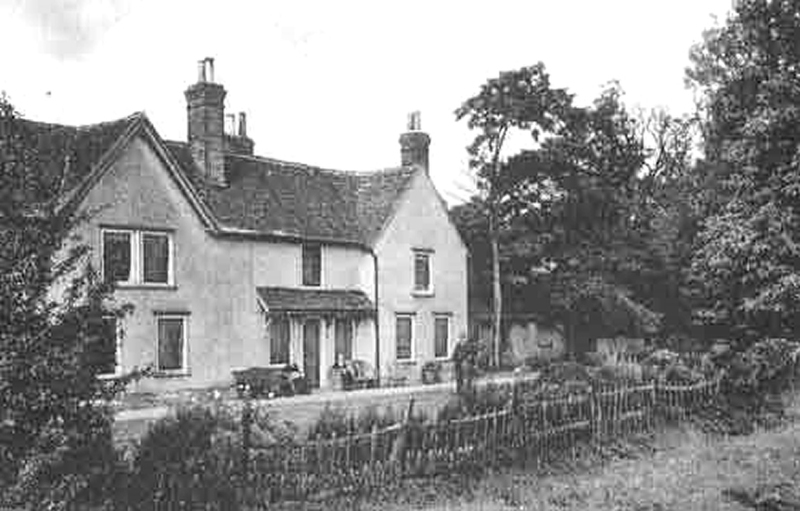 Sadly the tree which was in poor condition was removed in the early 90s. A sad loss..